Fadwa met Ruth Howard, artistic director of Jumblies Theatre, in November 2006 shortly after moving to Canada. Fadwa and her whole family were part of the Jumblies’ production Bridge of One Hair in 2007. After Jumblies moved on, she volunteered with MABELLEarts in the Mabelle Ladies Cooking Circle, Mabelle Sewing Room and in the park with her children. Fadwa is an expert at many types of cooking, and enjoys working with the other ladies in the Cooking Circle, cooking together in kitchens and over the open fire in the park; we drink Fadwa’s sage tea at every special occasion. Since the summer of 2014, Fadwa has worked with MABELLEarts as a cooking coordinator, and continues to help with cooking, sewing and other projects. Sonya is passionate about exploring art as a medium for social change and its ability to create a more informed and engaged society. She currently serves as the President of Ink Movement, a youth-run nonprofit organization based in the Peel Region which seeks to provide youth with a platform to explore themselves through publishing projects, conferences, and workshops. Next year, Sonya will be attending Western University to pursue a degree in Media and Business. She hopes to continue to explore her diverse interests, from art, to entrepreneurship, to community involvement. Azka recently graduated from Wilfrid Laurier University and Nipissing University, with a double degree: a Bachelor of Arts and Bachelor of Education. She has extensive experience working with youth in a variety of settings and is an advocate for social justice and change, particularly within the education realm. 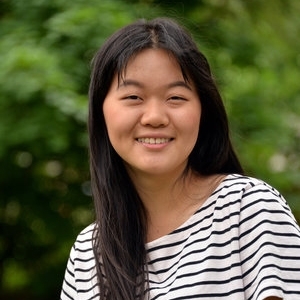 Next year, she will be pursuing graduate studies at OISE: her interests lay in deconstructing the obstacles encountered by immigrant and refugee students in their journey through Ontario’s education system. She hopes to foster growth by using a hands-on and cognizant approach to art-based activities, particularly photography. Farah Jibril is a Jordanian-born social work student at York University. In high school, she won the Community Involvement Award for doing over 600 hours of volunteer work. Farah has been involved with MABELLEarts since its inception and is currently a Community Facilitator. MABELLE has exposed Farah to the possibilities of work that is varied, fast-paced, and both hands-on and administrative-based. She hopes to one day sponsor a child and open a drop-in centre for girls to build their confidence and teach them skills and self-care. Tauhid is high school student at Etobicoke Collegiate Institute. He enjoys acting, playing with kids, and making people laugh. He has been apart of MABELLEarts for 7 years, enjoying the opportunity to meet new people and encourage new participants to join the community. Tauhid loves doing outreach and assisting with the delivery of workshops in Mabelle Park. In the future, he hopes to get a degree in law and become an actor. Osama is currently a community facilitator at MABELLEarts and has been involved with the organization since he was 8 years old. Outside of MABELLEarts, he is also an assistant automotive technician and has worked as a teacher’s assistant. He is good at being open minded and working with kids, which has proved to be a huge asset when taking leadership during Mabelle workshops and building infrastructure for the park. Outside of MABELLEarts, Osama desires to lead a life of leadership and entrepreneurship. Nada is a high school student at Etobicoke Collegiate Institute, having volunteered at MABELLEarts for 4 years. Previously, she has worked as a teacher's assistant at the International Languages Elementary as well as the Montgomery’s Inn youth cooking project. With over 350 volunteer hours, she is always happy to help others feel welcome as a passionate community arts lover. Nada hopes to earn a degree in accounting and learn turkish in the coming future. Tasmeen is a Grade 10 student at Etobicoke Collegiate Institute. She is a summer student at MABELLEarts and has been involved with MABELLEarts as well as partner companies such as Jumblies Theatre and the Gather-Round Singers since 2007. Outside of MABELLEarts, she is also involved with the Student Activity Council, basketball, and graduated as Valedictorian from her middle school. She loves that she is now able to help build the company that shaped her childhood and hopes to take over the company in the future. Ava will be attending Sheridan College for the Arts Fundamentals program in September. They first joined Mabelle for their interest in community involvement through the arts. Outside of Mabelle, Ava has also worked at the Pazan Gallery as a framing assistant and has volunteered at the Village of Islington BIA. They hope to be accepted into Sheridan’s Bachelor of Animation program and work in the animation industry for companies such as Pixar. Tenzin is a high school student at Etobicoke Collegiate Institute. He is a son, brother, and friend. At MABELLEarts, he loves helping people in the park, organizing the shed, and starting the campfire. He has also volunteered at the CNE on the eco-team and his high school. In the future, he hopes to have a career in computer programming. Nuha Umar is a high school student attending Etobicoke Collegiate Institute who has received the honours award and geography award. She is a daughter, sister, aunt and friend. She has also volunteered at MABELLEarts for four years and Is currently working as a summer student, where she has developed many skills such as problem solving, working as a team, meeting new people solving, working as a team and meeting new people. Her love of art has increased with the years which has also made her more comfortable meeting and interacting with new people. Ikram is a resident of the Mabelle neighbourhood and is an incoming Grade 11 student at Etobicoke Collegiate Institute. Outside of Mabelle, she plays basketball and is a volunteer babysitter. She is good at photography, photoshop, and tech design. Her favourite memory at MABELLEarts is the singing and arts and crafts at Iftar nights. What she finds meaningful about working with MABELLEarts is giving back to the community and bringing the community together. The Mabelle Community Leaders program supports residents to take leadership in areas that feed into our larger projects and suit their skills and interests. Community Leaders of all ages are part of all or our programs: promoting projects and events at the local level; overseeing day-to-day park maintenance; cooking; sewing; building things and imagining new ways of engaging people in the neighbourhood. Each year, approximately ten percent of our operating budget goes to honoraria and wages for Community Leaders. Sujata is a Ph.D candidate at the University of Toronto, Program in Planning . She have expertise working in South Asia on women's rights, conflict transformation, urban planning, infrastructure and transportation. Her interest is in feminist geography and planning and understanding how countries in transition work towards democracy. Kris Erickson is an artist, activist, and educator who is both interested in and in awe of the interdisciplinary and ambitious work of community artists and arts organizations like MABELLEarts. Trained as a photographer, Kris is interested in exploring how camera images and camera use can be made more accessible to communities for constructing shared and cooperative visions of the city, its neighbourhoods, its cultures, and their unique characteristics. With his partner, Kris has two wonderfully unreasonable children. He currently teaches at Ryerson University. Denise fell in love with MABELLEarts when sitting cross-legged on the grass, watching a cardboard time machine rumble into the future, filled with the tiny faces of neighbourhood kids. When she isn't being delighted by community arts, Denise rides on local buses in cities across Canada producing an audio-storytelling project called Bus Rides with Urbanists, which offers a portrait of Canadian city life from the perspective of residents. Formerly the Executive Director of the global Jane's Walk project, Denise has been focused on shaping, and advocating for, inclusive, citizen-led initiatives here in Toronto for nearly a decade, by holding board positions at Open Streets Toronto, Walk Toronto, and at OALA's Ground Magazine, where she frequently contributes. Trained as a landscape architect, Denise has delivered keynote lectures in Vienna, Hong Kong, and Chicago on the importance of connected communities. She is the recipient of a Medal of Excellence from the Royal Architectural Institute of Canada, and in 2016, she was named a Vital Person by the Toronto Foundation. Huda Bukhari has been a dedicated member of the settlement service sector for approximately two decades. An immigrant to Canada herself, she began her career as a frontline worker for newcomers, working up to her current position as the Executive Director at the Arrab Community Centre of Toronto.Outside of these roles, Huda has presented at various conferences on refugee and immigrant issues in Canada, and is a past Executive Board member at the Canadian Centre for Refugees as well as Sojourn House.